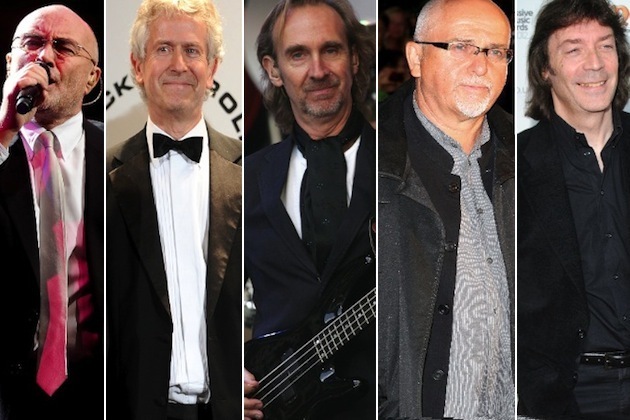 Genesis are best known these days for their string of glossy pop hits in the ’80s. But their rock cred stretches back further than the hitmaking Tony Banks / Phil Collins / Mike Rutherford era. Most notably, there’s the prog-centric version of the group from the ’70s that also included Peter Gabriel and Steve Hackett, but the band started, ironically enough, playing the kind of melodic pop that eventually turned Collins into a superstar . . . and this was years before he even joined Genesis. In the late ’60s, Banks, Rutherford and Gabriel were paired with original guitarist Anthony Phillips and a revolving-door of drummers on records not too far removed from ’80s smashes like ‘Invisible Touch.’ But as Gabriel’s songwriting vision matured — and guitar impresario Hackett blossomed — Genesis began to explore the long-form songcraft that helped cement their place in rock history. It was only after Gabriel and Hackett departed that Genesis turned full circle back toward more radio-friendly songs.